This is Ella, a sweet sweet girl I found matted and filthy at the school I used to work at. She has been a model pup *until* she chewed up my $400 glasses. 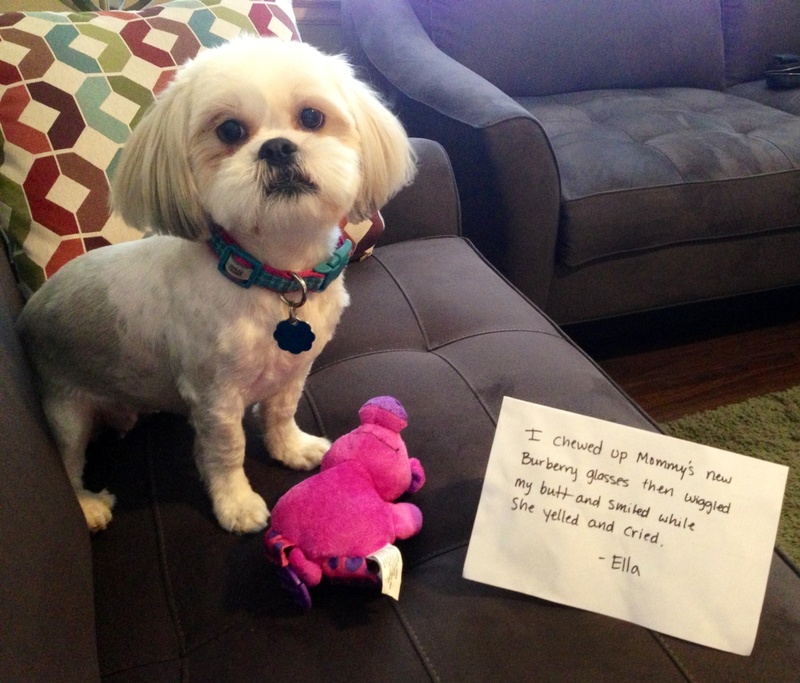 Editor’s note: Ella’s mommy didn’t actually yell at Ella; it’s just a figure of speech. Posted August 25th, 2013 . Are you kidding? I’d yell at him so hard my throat’d get raw. Mistakes are made by people every day, take a moment to think before you judge someone else. 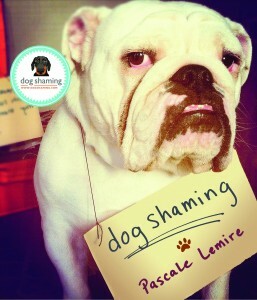 If cussing out a dog is no longer allowed, I don’t even know what to say. 400 dollar glasses. That’s enough of a money sink that I would be frothing at the mouth and using words that anyone listening would have to look up online. I was thinking her ears are somewhat reminiscent of the spoiled brat Veruca Salt from the Johnny Depp Willie Wonka. Lessons Learned – some very expensive, some without expense – bottom line…lessons learned. Ella certainly didn’t know the glasses were off limits and SO appreciative of having a lifetime(?) home she was happy for your attention. Poor baby…she didn’t understand they were expensive. That’s an awfully “smug” (but adorable) look on her face. I think she still doesn’t realize what she did. I have to agree with others (after my chihuahua-mix got caught on the kitchen table AND counter tops in search of things such as chocolate covered nuts and cups of coffee – fortunately no emergencies). My house is left STERILE before I leave him alone anymore! I have an Ella shih tzu who looks just like this Ella! And she chewed up my Michael Kors sunglasses! Well she is a sweetie pie, isn’t she? Who could be mad at her? I can’t imagine life without her now! I have to laugh in amazement…. I just can’t bring myself to buy expensive glasses like that….don’t worry bout my dogs getting them…. I would be more worried about me leaving them somewhere! She is a cutie-pie though…thanks for the chuckles! Bless you for rescuing this dear girl. As for the glasses, my eye doctor suggested we try online prescription glasses. We now get our prescription glasses at Goggles4u or ZenniOptical. No more getting mugged by LensCrafters. Ella’s Mom, I love your sofa! Where is it from, if you don’t mind? I got it at Rooms To Go, it’s called Newport Cove in Slate. I Know Ella’s mom and she has 3 adorable dogs that she has rescued those babies get more love and attention than a lot of people give their children. She is a Special Ed Teacher and she adores all her students so much that when it’s time for them to move on she cries. Heaven help the day when her babies go to doggie heaven her heart will be broken. YOU totally READ HER POST WRONG so before u make any judgement against her go back and read it over! And I am sure you have never fussed at a dog for doing something. You are the perfect model for our world. We should put you on a peristalsis and throw kisses to the chosen one! Maybe she should have handed her her sunglasses next. People always try to act as if they are perfect and everyone else should be ashamed for not being as perfect. I am sure if you have kids or pets, they are perfect as well. Btw… My response was to Molly, the great and powerful!